Renting a mini coach is a great choice for small group transportation over both short or long distances. 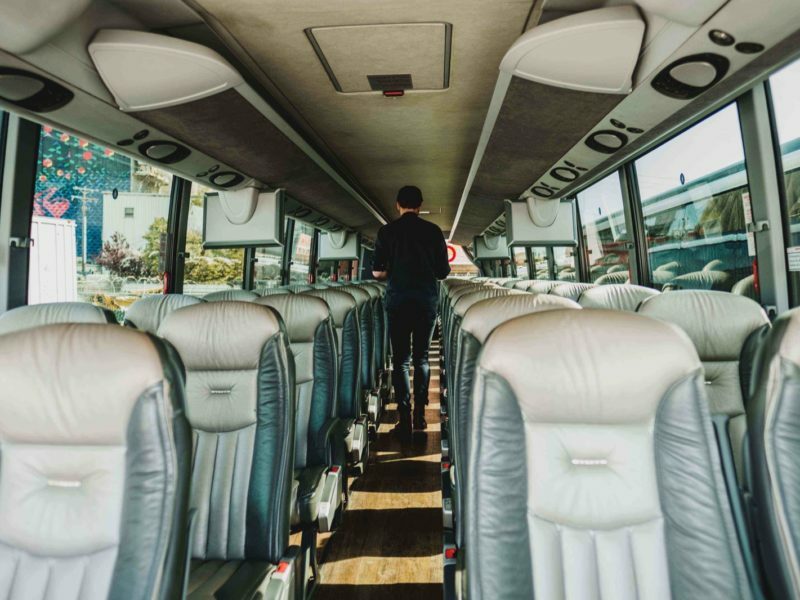 Equipped with the same amenities as its larger counterpart, a mini coach bus rental can be just as comfortable as a coach bus which is an added benefit for longer trips. This option is also suited for small groups looking for a convenient way to travel as the vehicle takes up less space with its limited seating. What's a Mini Coach Bus? 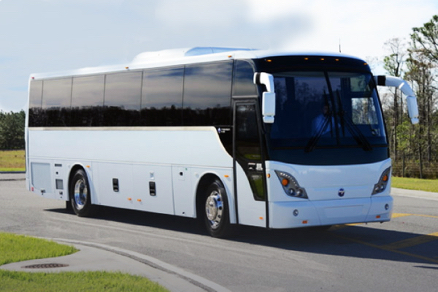 Consider renting a mini coach bus when your charter bus requirements fall between those of a full-sized coach and a minibus. Built with a similar exterior and interior as a deluxe motor coach, a mini coach bus is designed to travel longer distance while remaining akin to a minibus in size. 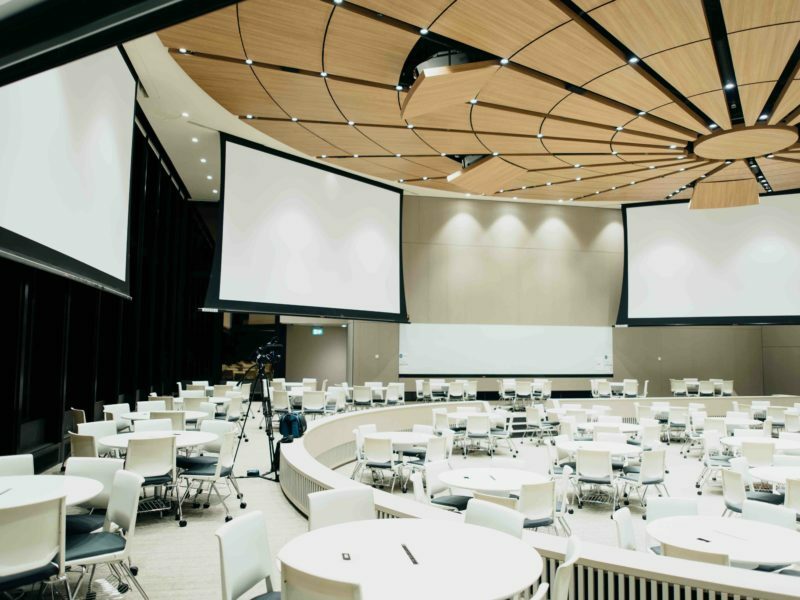 You’ll also be able to enjoy the same amenities that a coach bus offers (minus a washroom), but at a smaller seating count. When Should You Rent a Mini Coach Bus? If you’re moving less people, but traveling longer distances, a mini coach bus rental would be your best option. You’ll typically get most of the features of a coach bus charter, but at a smaller number of seats – making the ride more comfortable and convenient with a vehicle that’s easier to park. While deciding on whether a mini coach bus is well suited for your event or trip, keep in mind that this type of bus charter has a similar interior as a deluxe motor coach, but without the restroom. A mini coach bus rental would be a perfect travel solution for shuttling wedding guests comfortably to your reception, or to move speakers and attendees from their hotels to the venue as transportation to conferences. How Much Does It Cost to Rent a Mini Coach Bus? Prices for mini coach rentals are between $475-900 for 4 to 6 hours or possibly $650-900 for a charter from 10 to 12 hours (city and location contingent). These costs can vary based on availability, distance traveled, and seasonality. Need more precise mini coach bus rental prices? 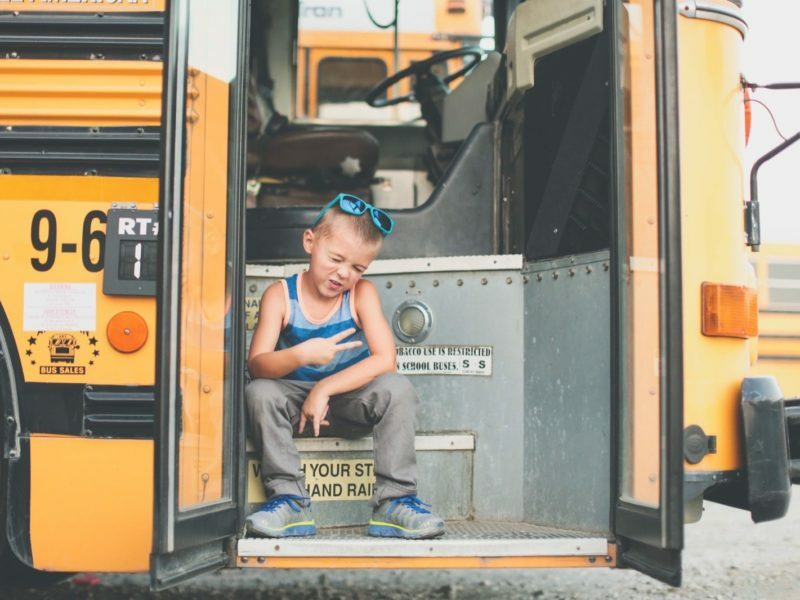 Find out how it costs to rent a mini coach bus for your trip with our instant charter bus quote tool. How Many Seats Are There on a Mini Coach Bus? Mini coach buses come with a seating range that can accommodate up to 31 seats. 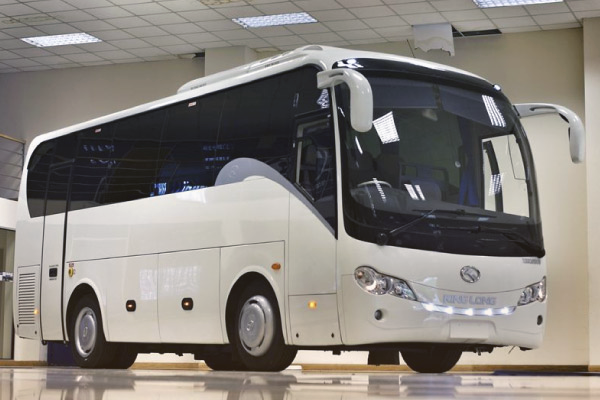 Since a mini coach bus is a smaller version of a full-sized motor coach, the size of the vehicle falls somewhere between a large deluxe motor coach rental and a minibus charter. If you need something that fits more people, but that is just as comfortable, consider renting a coach bus instead. Think that would be a better travel option for you? Learn more about coach bus prices and features. Is There Storage on a Mini Coach Bus? Similarly to a coach bus, a mini coach bus has storage available both above and below seats. That way, you’ll be sure to have an area reserved just for your baggage, and won’t need to worry about having enough space to bring along your personal belongings. What Are the Available Amenities on a Mini Coach Bus? The best part about mini coach bus rentals is that they offer the same amenities (A/C, DVD/TV, WiFi per your request) as a coach bus. However, a mini coach bus rental will not include a restroom – something worth noting when you’re planning your trip! Also, since it is equipped with the same suspension system as a coach bus, you’ll still remain comfortable during your ride despite the smaller size of the vehicle. What Do People Typically Rent a Mini Coach Bus For? Mini coach buses are perfect when you need a convenient and comfortable way to move people around. 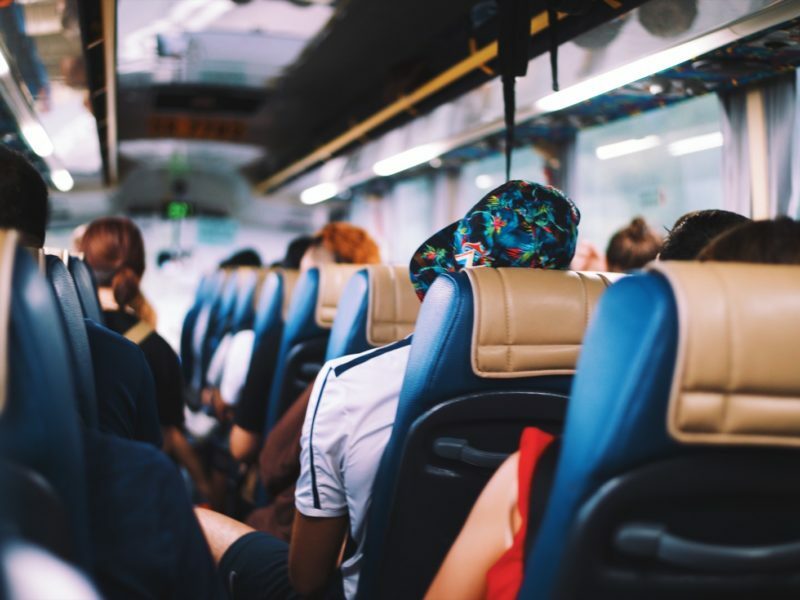 Also designed to weather long-distance travel, mini coach bus rentals can transport smaller groups over longer periods of time – but offer the same type of amenities as a larger coach bus. Sports teams have rented mini coach buses to help their players travel directly from hotels to the field, and bridal parties have set up easy transportation for their guests with mini coach bus rentals to avoid hefty cab rides and parking woes!